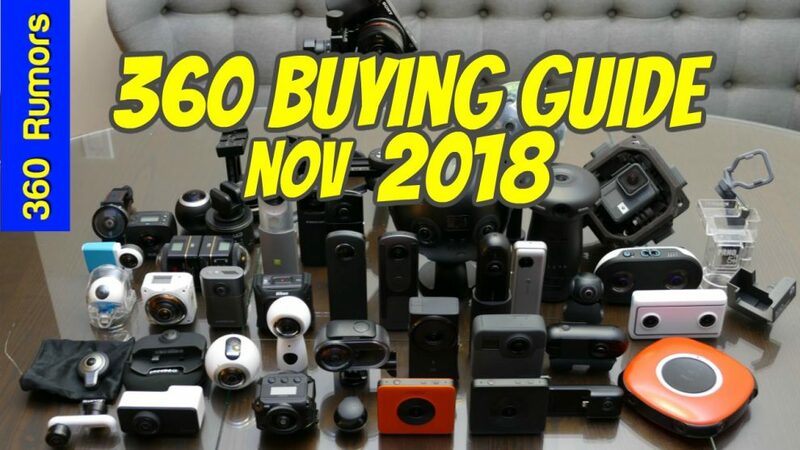 Best 360 camera buying guide (Nov. 2018): see the top 3 best 360 cameras of 2018, plus the best 360 cameras in 7 different categories. Finally, I’ll discuss upcoming 360 cameras so you’re not blindsided! To compare the cameras side by side, check the 360 camera comparison tool. You can also use the 360 camera comparison table to sort and filter the cameras by their video quality, photo quality, usability, features, weaknesses, compatibility. I love your reviews, but can you also include ambient temperature and length of recording before a unit shuts down from over heating. If I may suggest, do a controlled environment test to simulate a 30 celsius ambient temperature to see how long the unit can record without over heating or shutting down. This will greatly help potential buyers from choosing their 360 camera. I live in Thailand and bought the Rylo, but it just can’t handle the ambient temperature here. My Rylo shuts down after about 10 minutes of 360 recording, when walking, and this is with their latest firmware with 5K recording.